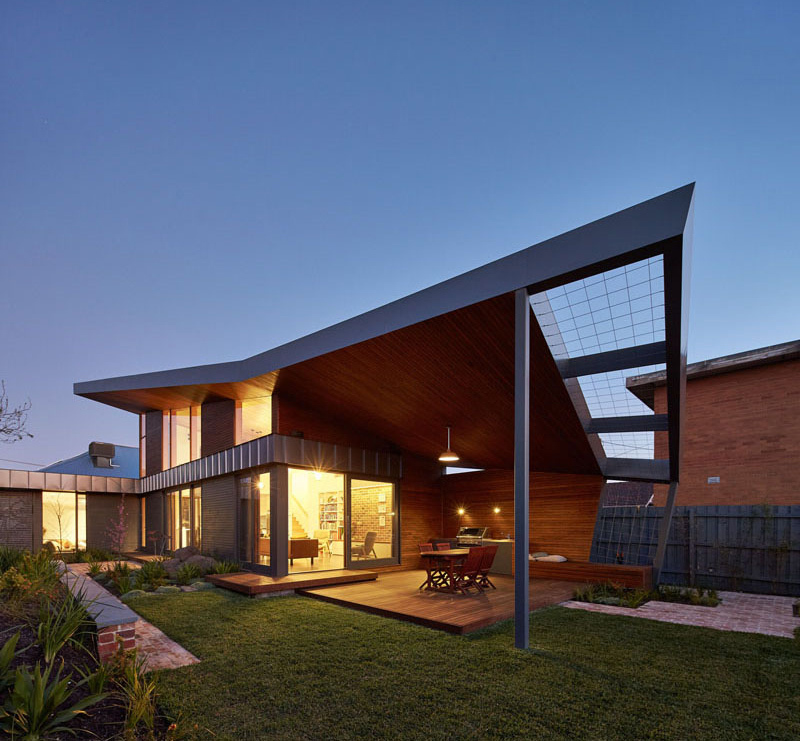 A beautiful contemporary house with a lovely roofing design. There are homes that would require an addition or an extension in order to provide more space for the family since their current footprint isn’t enough for the needs of the family. 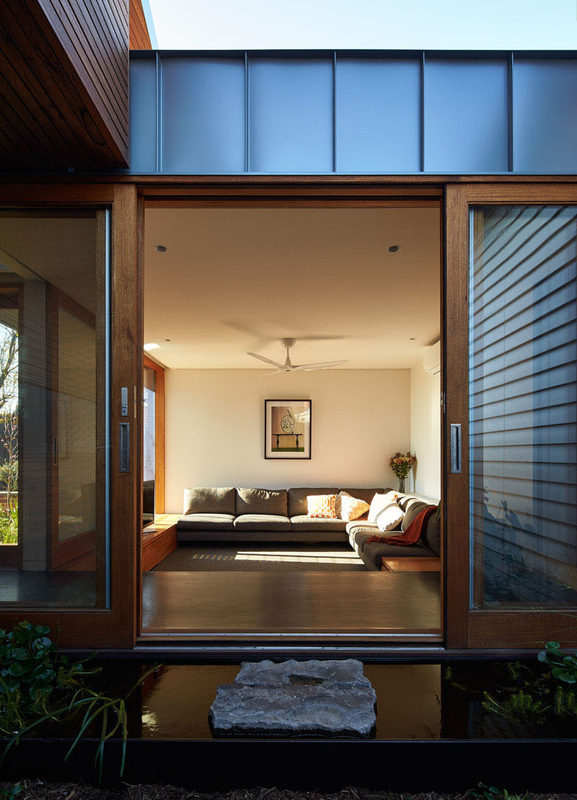 That is why, many homes are renovated and redesigned with an extension. We have seen many impressive additions and today, we will add another home to the list. 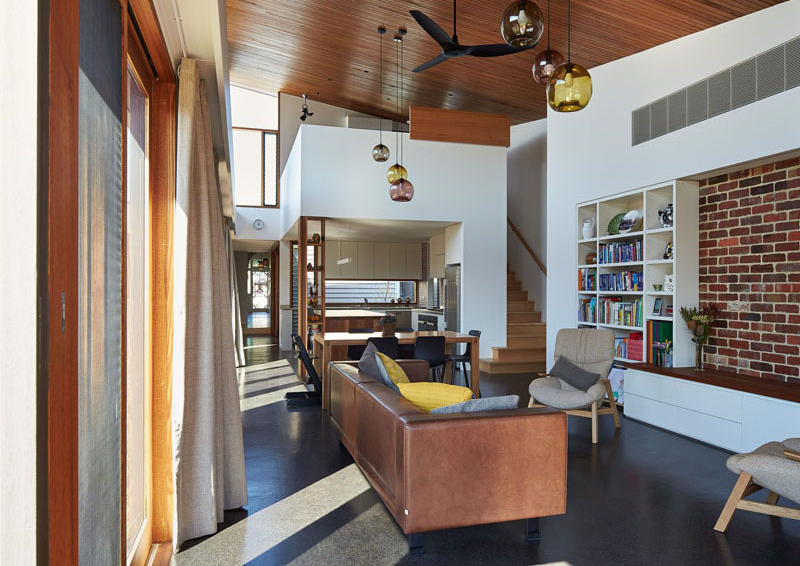 This house needed an extension to increase the living space of the family home. But aside from that, it was also able to add appeal to the entire dwelling as well. 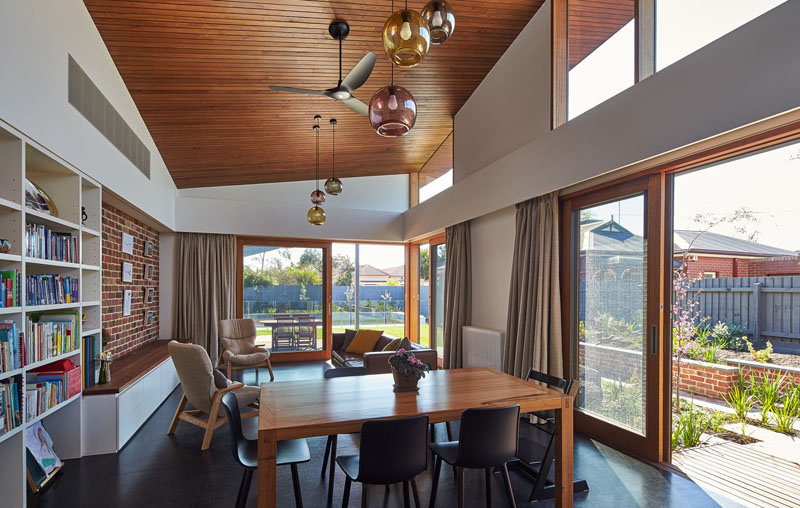 This family home in Yarraville celebrates sun, seasons and togetherness, drawing in abundant light, making the most of the leafy garden, and introducing multiple spatial opportunities for family and friends to engage with. 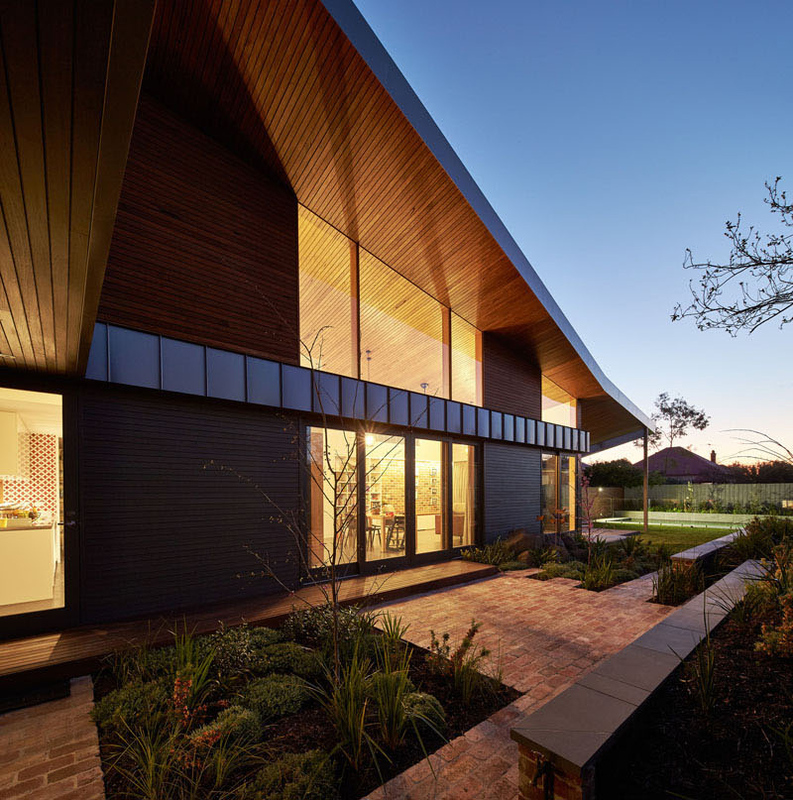 The existing home and site presented a number of challenges common to residential projects in inner Melbourne. 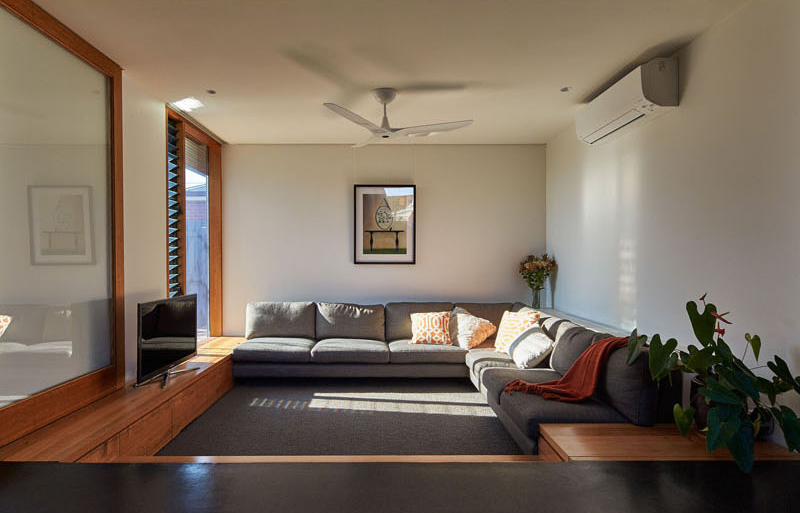 The brief was typical: a beautiful, durable, functional home, to time and budget. The owners also wanted to have a home that is low maintenance using quality materials and they want it to last more than 20 years. With that, Guild Architects applied “future proofing” to the design layout of the house so that the family can still live there even if the family grows bigger. 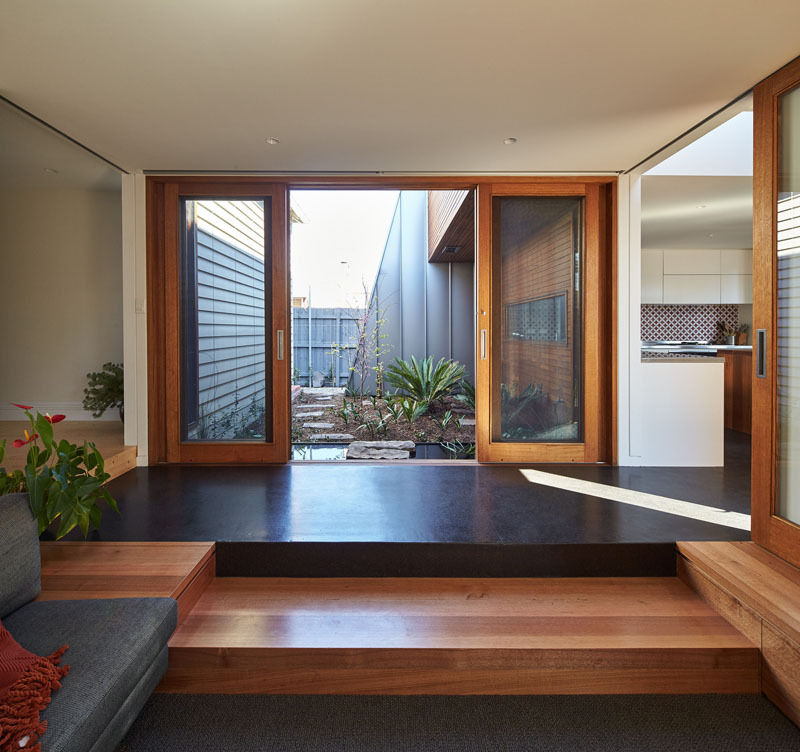 Since the project is an addition, a distinction was provided between old and new areas via a courtyard and sunken lounge with a low roof that nestles under the higher forms of the adjacent heritage roof and new living areas. Let us take a look at the house below. Unique feature: A contemporary home extension that added beauty to the house with its unique design. 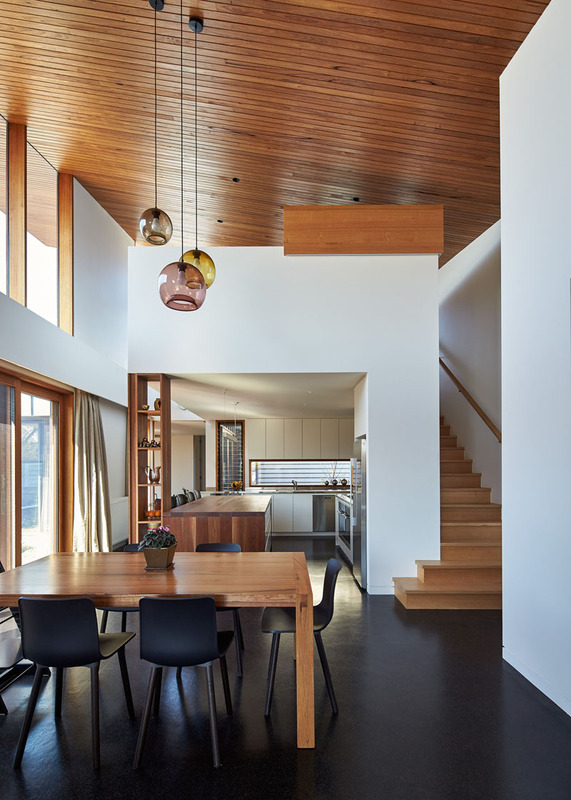 This new contemporary extension was added to a heritage home in Melbourne, Australia, to provide the family with larger living areas. 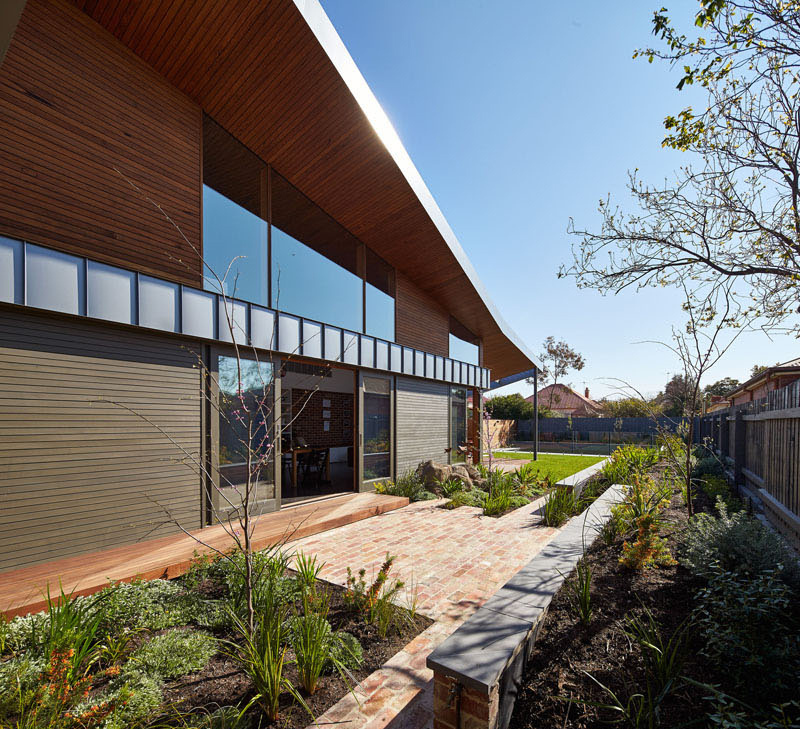 When talking with their clients, Guild Architects were asked to design an extension that would integrate the garden as part of the living area, and encourage living outdoors. The outdoor area has beautiful modern landscaping on it covered with brick stones which make it even more lovelier. 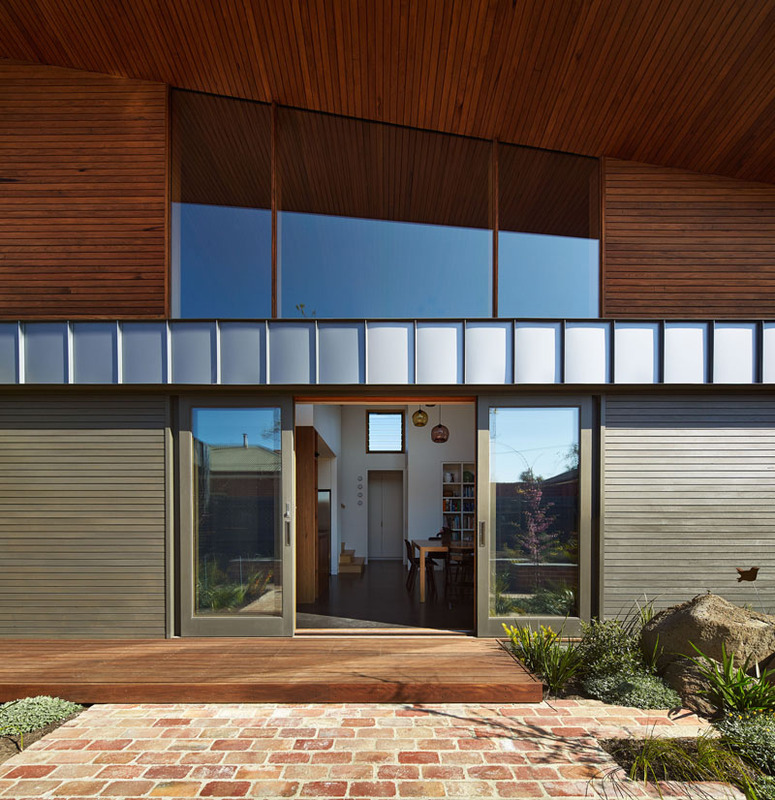 The extension made use of different materials creating a distinct appeal in its exterior. You can also take a glimpse of the interior in this photo. Inside the house, there’s a lightly sunken living room, with a custom built-in corner sofa in gray. There are printed throw pillows on the sofa which added more life to it. Also seen here is a large ceiling fan to ventilate the area. This is the main living room in the house which is located in a space that is just beside the kitchen and dining area. The living space also has a brick wall feature that added appeal to it. The dining and living areas share the same space with an eclectic mix of furniture. What I noticed in the area is that tall bookshelf, a built-in bench and the sliding glass doors with wooden frame. From the kitchen, the extension opens up and you can see that the wood ceiling continues from the inside to the outside. 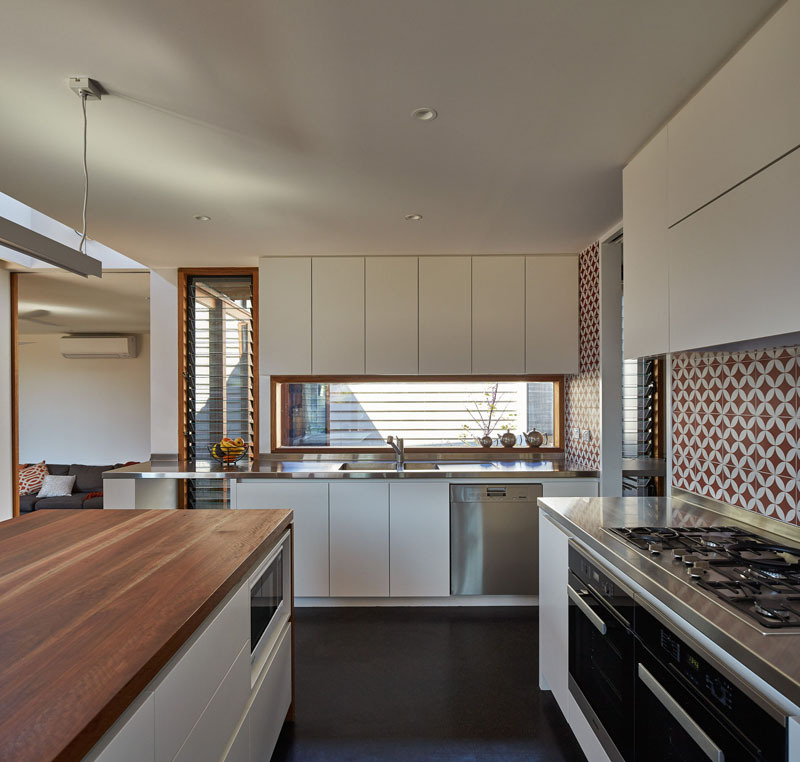 The extension has a new kitchen, with white cabinets, wood and stainless steel countertops, and a red and white patterned backsplash. The window behind the sink lets natural light in, and provides a view of the original home. 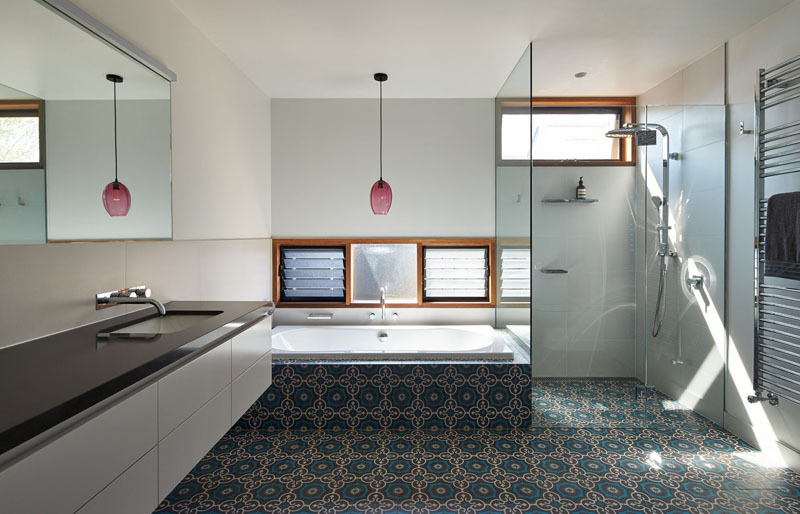 Here’s a quick look at the bathroom, that has a glass enclosed shower, and tiles that seamlessly flow from the shower to the bathtub surround. Around the side of the home, there’s a path that separates the original home from the new extension. You can also see here a water feature just outside the house. From this angle you can see how the home connects the old and the new, with the original house on the left, and the extension on the right. At the rear of the extension, there’s a large covered area, providing space for an outdoor BBQ and shade for when it gets hot. 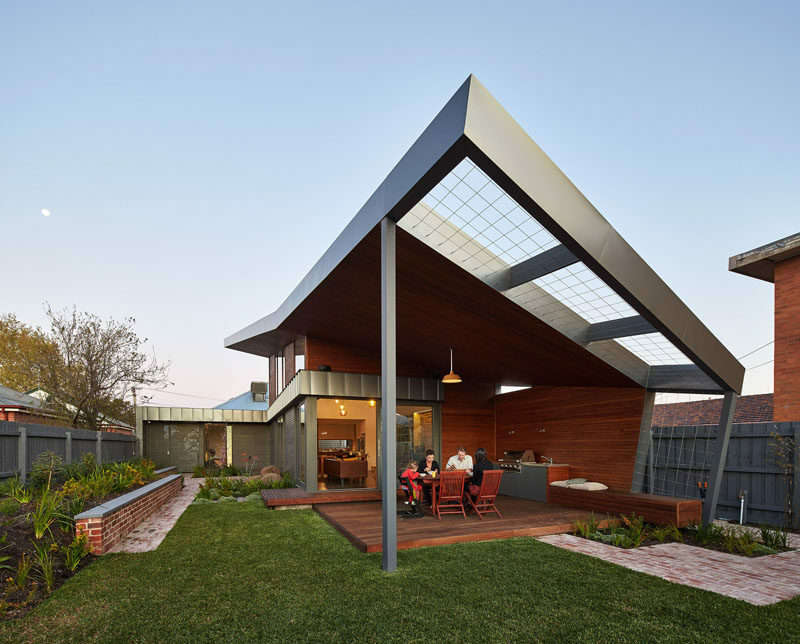 One last look at the beautiful home extension which has a winged type roofing that gives it a unique appeal. Beautiful, right? It sure is. With the added extension, not only the floor area was extended but the house also looked even more beautiful especially that the extension isn’t just an ordinary space. It is something that is well-thought of to fit to the needs and the brief of the clients and it came from the creative minds of Guild Architects who worked with builders Weiss Builders for the project. If you have noticed is lovely landscaping around the home, which adds appeal to the entire area, it is the work of landscape designer Jal Cheswick. Yes, the addition is a collaborative work between these efficient designers and everything turned out really great!